Hyderabad Muslim Welfare Association. 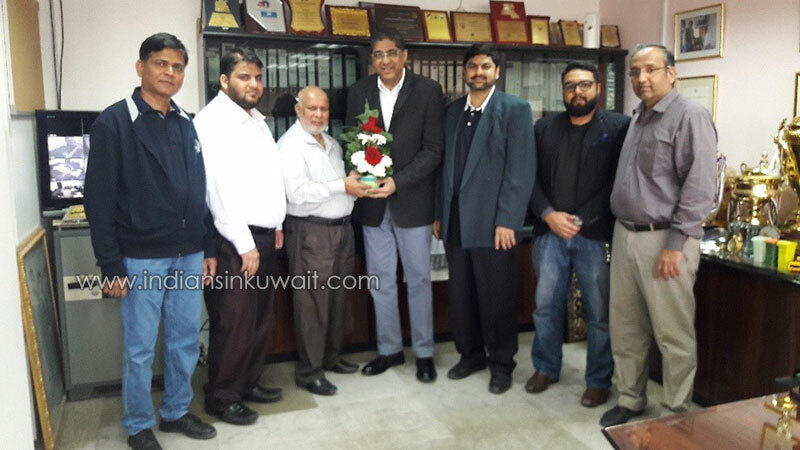 HMWA EC team visited and congratulated Famous Philanthropist and Prominent businessman Dr Asad Khan the General Manager of Kuwait Swedish Cleaning Services Company (KSCSC) for being awarded Honorary Doctorate for his Social Work by United Nation University of Global Peace USA. The honoring ceremony was held at Navi Mumbai, India on 25th November, 2018 was attended by a galaxy of personalities including H.E. Ambassador Dr. Anil Nair, Global Peace Ambassador Diplomatic Mission (India), H.E. Ambassador Dr. Dharamdas Damoo, South Asia Governor UN-AUGP-USA (Malaysia) and Dr. Pravin Bhatia, Maharashtra Chapter. 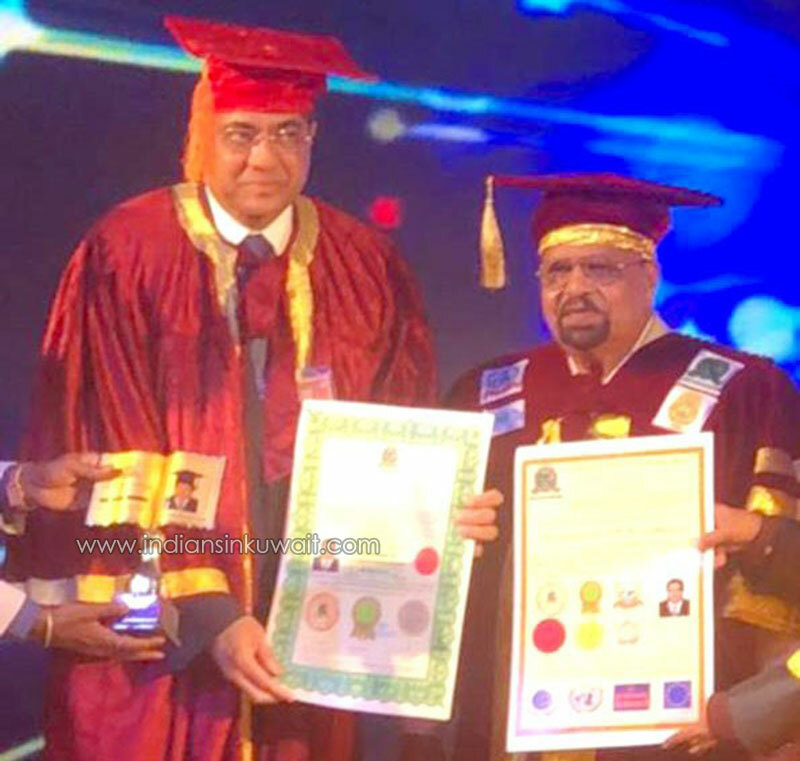 Belonging to Hyderabad, Dr. Asad Khan is leading the Kuwait Swedish Cleaning Services Company (KSCSC) for the past 40 years with remarkable growth and has never seen back from its inception. HMWA team comprising of president Mr. Abdul Azeem General Secy Mubeen Ahmed Patron Mr. Haji Abdul Kareem executive member Mr Aves Ansari and Treasurer Mr. Mushtaq and Khaja Ameenudding visited Dr khan and presented a nice bouquet to express their happiness and shared proud moments towards great achievement attained by Mr. Asad khan . Dr Khan has been working diligently in Kuwait since 1977, have been involved in recruiting skilled and unskilled workers and during his complete 40 years of service, He served as a as an Ambassador of Humanity First Foundation in the year 2016 and was also honored with HFF award in their 4th HFF award function held in Mumbai that year. Despite having busy schedules and commitments Dr. Asad Khan always finds time in serving the community irrespective of their cast and creed or religion and region. He is also known for his contribution for the development of sports among the expatriates in Kuwait and worked as an honorary adviser to the Thai Football Association and affiliated to FIFA Media Committee. Mr. Asad Khan, a magnanimous personality and an astute businessman, hails from a prominent and well known family of Hyderabad . He is a warm, welcoming and humble personality and truly befitting his Nawabi aristocratic lineage. Mr. Asad Khan being a true friend in need, is invariably loved and respected in society and held in high esteem by his staff members and Indian community in Kuwait..
MAY ALMIGHTY ALLAH SHOWER HIS BLESSINGS ON HIM.